The Southborough Fire Department asked me to share some warnings and helpful tips about Ice Safety. (It includes a video that teaches about self rescuing.) While I’m at it, I’m also sharing updated news the department previously posted about 911. Last year, I shared information on how someone in danger could signal for Police and Fire help without talking. At that time, texting 911 wasn’t available in our state. 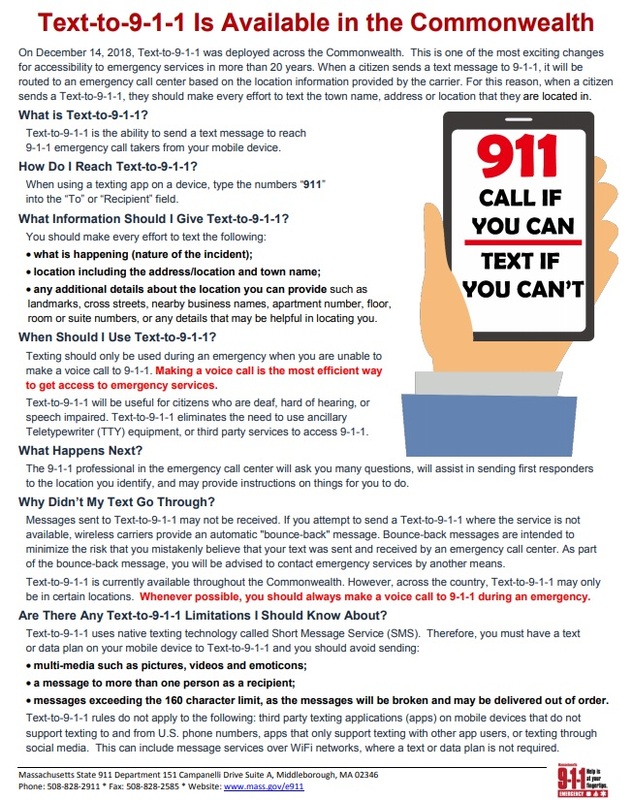 Of course, 911 issues have been resolved and it seems that texting is working, since the state issued a press release to promote the service yesterday. Click on the thumbnail above right for details. For a reminder on how to make a silent call if you don’t have a phone that texts, click here. SFD’s Lieutenant Neal Aspesi tells me that the ice building up out there is looking awfully tempting – but poses real danger. He asked me to get the word out before the long weekend. Aspesi tells me the SFD already assisted Westborough on Monday when a 19 year old fell through the ice at Mill Pond and required emergency rescue. 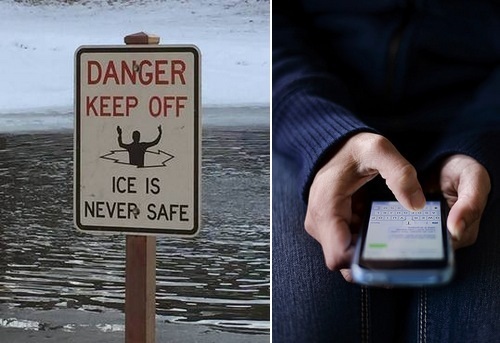 NO, ice on our ponds & reservoirs is NEVER considered 100% safe, no matter how cold the weather. Ice thickness is not consistent, one spot might be 5” but yet only 1” a few feet away. Truly, the only safe ice is that on an ice rink. We discourage anyone from going out on the ice and ask that parents relay this message to your children during the winter months. 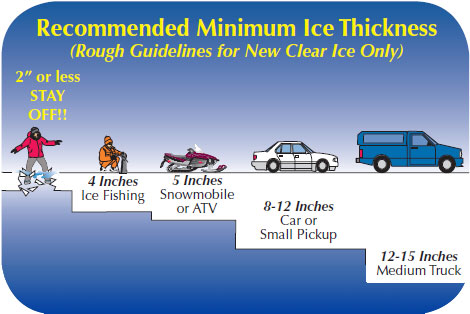 ATTENTION: These ice guidelines [see thumbnail right] are for “CLEAR ICE” only – Dark Ice is never ever safe. *WHAT DO I DO IF I FALL THROUGH THE ICE? (First, prevent it by NEVER going on the ice). Watch the video below on how to self-rescue yourself. If you cannot get out, stretch out both arms and lay them both flat on the ice around the hole – do not let go – and yell for help. *WHAT DO I DO IF I SEE SOMEONE, A PET OR ANIMAL FALL THROUGH THE ICE? Immediately call 9-1-1. DO NOT go on the ice to save them – becoming a second victim will not help them. Keep your eye on their location to show arriving fire/police.